The weather yesterday was perfect. It was around 20degC, with a light breeze and a cloudless blue sky. 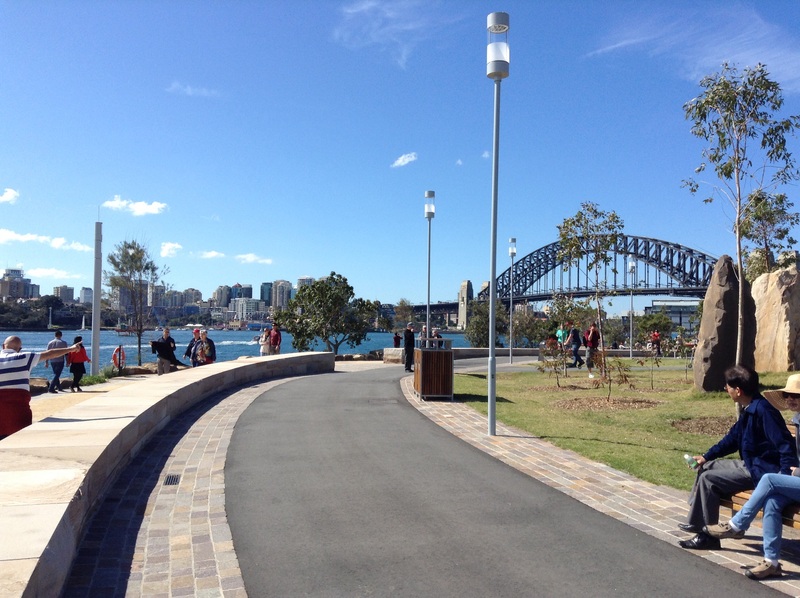 So we decided to go and check out Sydney’s latest park/walkway at Barangaroo. 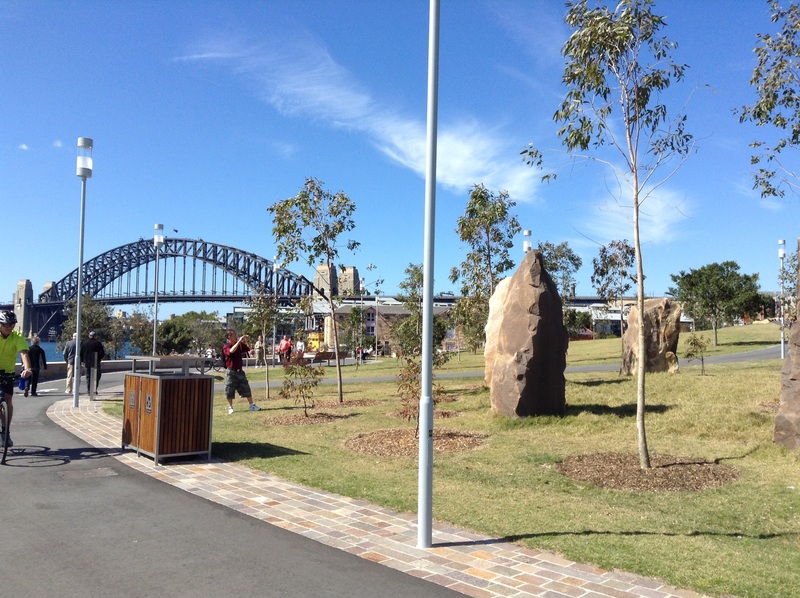 This is one of the oldest parts of Sydney and is in the Rocks area close to the bridge. If you get a chance to visit this park then take it. 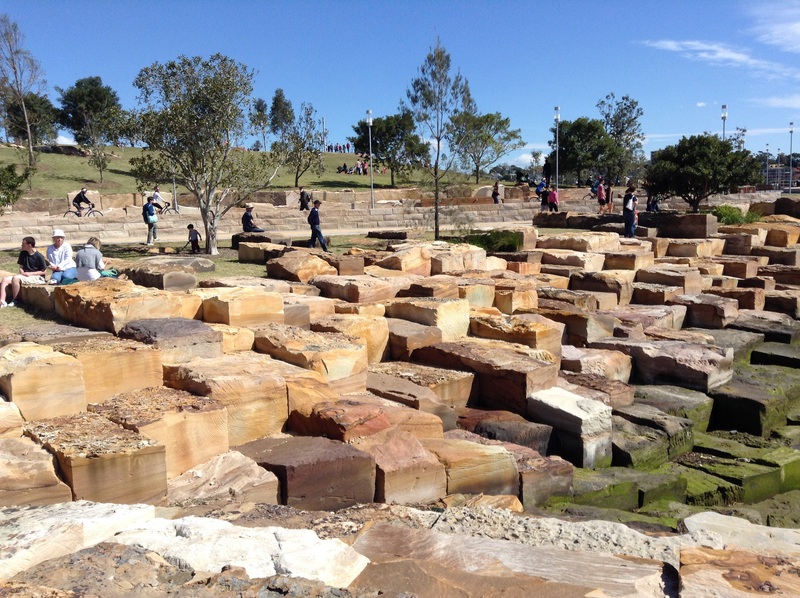 It’s been beautifully landscaped with native flora and has two pathways. One is crushed sandstone which echoes the beautiful sandstone structures everywhere and the other Tarmac which is great for bikes and the like. Here are some photos I took. 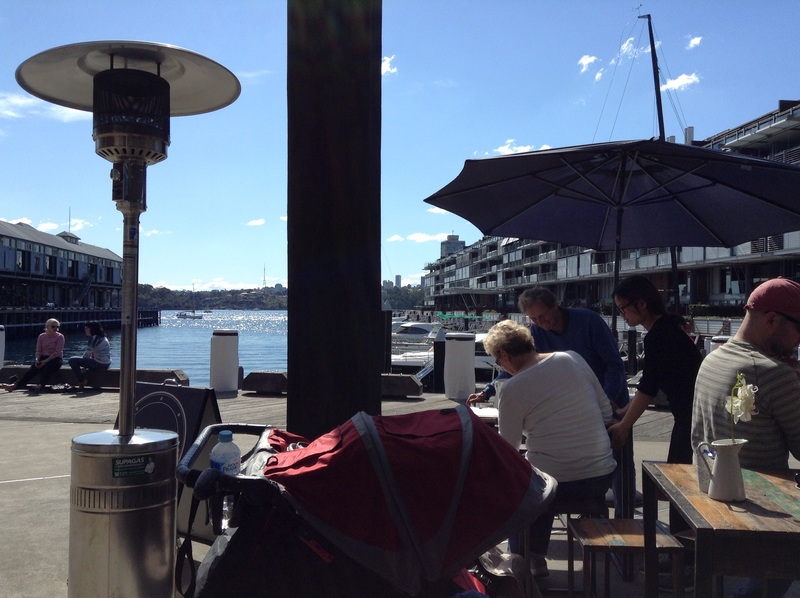 After walking through the park and enjoying the sunshine we strolled around Walsh Bay and found a host of interesting restaurants and cafes I didn’t even know we’re there. Naturally, we had to stop for lunch and it was just so relaxing sitting there in the dappled sunshine looking out over the water. Sounds good to me Linda. I don’t think they put the stones there. 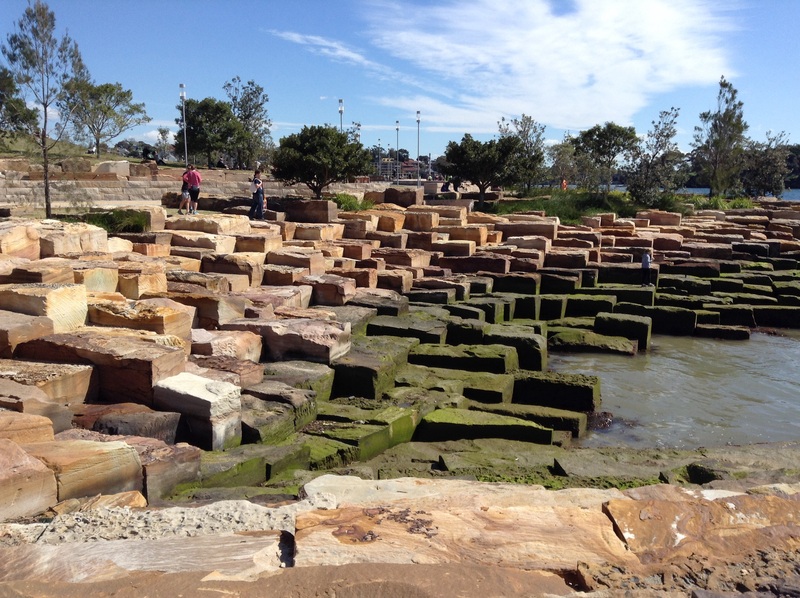 I think the bay is all sandstone and that’s where they quarried the blocks for building in the old days. I might be wrong however. I don’t go near this area much, but I don’t see much in the way of buildings in your photos. I thought it was going to be all high-rise in this area. I should take a look. 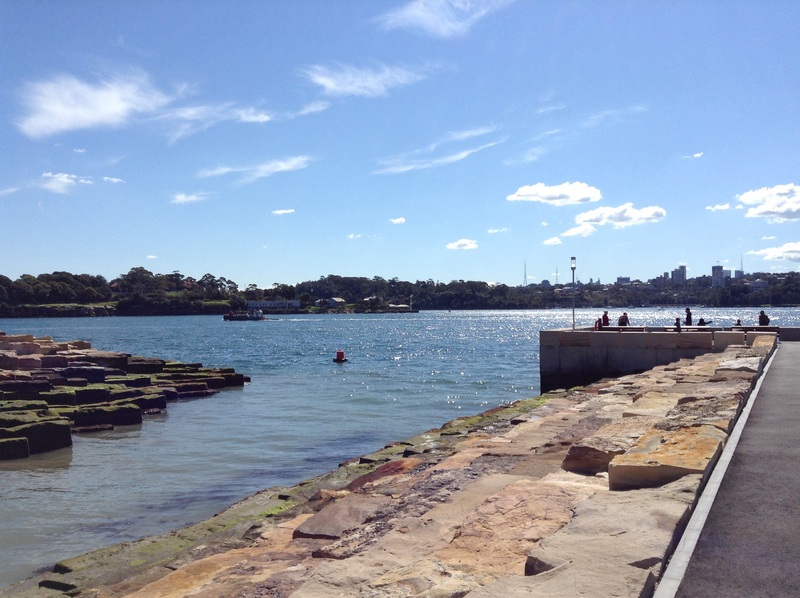 That’s what so nice about this section of the foreshore. It’s before you get to Packer’s Baranagaroo Eyesore (just my humble opinion). It starts at Argyle Place.